The MicroKY Duostar X14 karaoke machine comes equipped with 5000 songs that are preprogrammed right in the unit. This will save you on buying separate songs, however, you have that option if you desire. The MicroKY Duostar X14 karaoke machine has six additional song chips that can be installed to expand your music library! The songs can be purchased in English, Spanish, or Hindu, expanding the usage of this machine to other cultures. You have the option in changing the background video or photo so that you can enjoy your own personal memories while singing your songs. This is a wonderful way to showcase your history while enjoying a night out with friends. Having the chance be scored while you sing, is a benefit that you can use to enhance your experience to better your performance. You can use this feature as a game to play with your friends to obtain the best score, which adds to the versatility of this machine. There are a few disadvantages to the MicroKY Duostar X14, including a delay between the words and where they should be sung in the song. A few inaccurate words in the song text occur throughout the song library, but this is not the case with every song included. It happens with a few of the songs, however, so this should be noted. The echo feature can not be adjusted on the microphones, but most people prefer to sing with echo, so that can also be a benefit for those that enjoy that feature. Some of the songs use a midi file format rather than the actual instrumental of the licensed song. The MicroKY Duostar X14 karaoke machine is portable so that it can be hooked up on any monitor. It is perfect for home use or for bringing to a friend’s home to practice your tunes. Hook up is easy and you will be singing within seconds. You could use it on a large screen television or hook it up to a laptop if you would rather practice your songs in private or even outdoors! 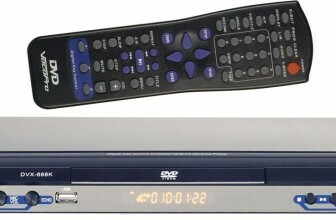 The background to your karaoke songs can be switched to your own photographs or videos, if desired. It is programmed with its own, as well for variety of visuals while singing. Simply hook your USB storage device to the unit and you can scroll through your material to place on the screen as you sing. This will give you a new look to your song every time you sing it, making it more appealing if you do repeat performances. The unit is easy to operate, an attractive look, and small in size. It boasts a great volume level, excellent pitch and tempo controls, leaving you with quality sound to help you during your performance. Imagine trying to compete with your friends to obtain a better score? This karaoke machine has that feature. You can sing your song, then have a friend try the same one (or a different one, if desired) to see who nailed it and who needs a little help. This feature is fun and helpful if you are into karaoke competitions or just if you want to better your vocals. The microphones are ergonomically pleasing to hold in the hand while singing your song. They are wireless so that you can move about the room, putting on a better performance for those spectating. The microphone holder allows the microphones to be stored upright, so that they do not become damaged in a drawer or cabinet. The entire unit can be placed on a television stand or entertainment center for easy accessibility for each time you decide to have a singing session. Having two microphones included allows you to sing duets in addition to solos. This is a feature that is favorable to many singers, as sometimes people do not wish to sing alone, especially if first starting out. The controls are located right on the microphone handle, making it easy to adjust your vocals as you are performing. You can flip a switch without taking your eyes off of the screen. The buttons are easy to push and the text is pleasing to the eye and a cinch to read. If there is a particular song that you would like to sing, it will be no trouble to see if it is available within your library. Simply use the artist or song search feature located on your microphone handle, then scroll through the choices available right on your television or monitor screen. This is a fun way to try new songs as you can see the song selections in a listing format when you wish to pick a song to sing. Overall the MicroKY Duostar X14 karaoke machine is a great portable unit that can be used to practice your karaoke songs whenever and wherever you desire. 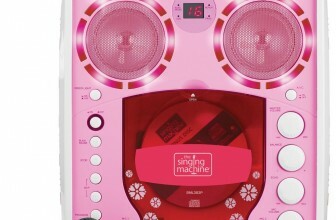 It gives you the versatility to be able to sing to a crowd at a party, or sing on your own in your bedroom. 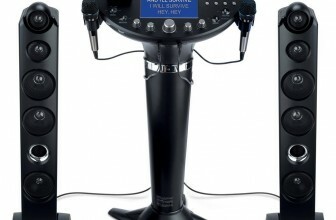 The compactness of the karaoke machine allows you to grab and go, making it easy to practice on the run. The scoring feature is a fun addition, allowing you to challenge yourself to sing your very best. If you want to be able to practice your vocal range, the scoring system will help you determine your preferred sound. The artist and song searching feature gives this machine an edge, as does the fact that it comes pre-programmed with enough music to sing all types of genres and styles without the need to purchase additional songs, unless you desire even more selection. Having the chance to change the background is also a benefit to this machine as it allows your experience to be a personalized one, which can help you impress your friends and calm you down as you sing your music. Seeing some of your favorite scenes or photographs while you sing can give you extra inspiration to wail out a performance to be remembered.